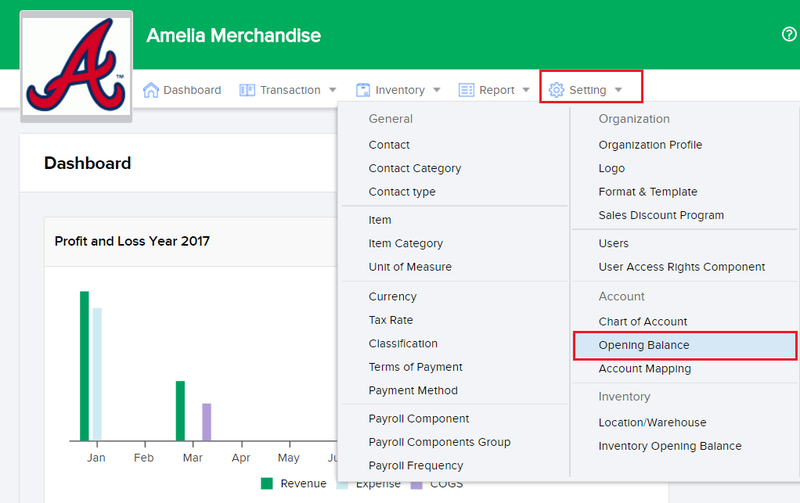 This feature enables you to input your company's Opening Balance. Opening Balance is the nominal at your company's disposal at the start your business operations in the balance sheet. If you see number (0) in any of the columns - it may well mean that there is (0) balance in the column you are looking at. Once you have input your beginning balance into its designated account, it will then show in the bottom of the page. If your debit and credit accounts are not balanced you will be notified that your data input is void balance your accounts are not balanced. Click on the Save Opening Balance button once you are done. Once you are done with your opening balance management, you are then properly guided to begin making business transactions with Sleekr Accounting.